Anglia Cars has been at the heart of Bedford for over thirty years, situated on the corner of the High Street in Town. Our sole aim has been to provide you with the very best taxi service Bedford can offer. 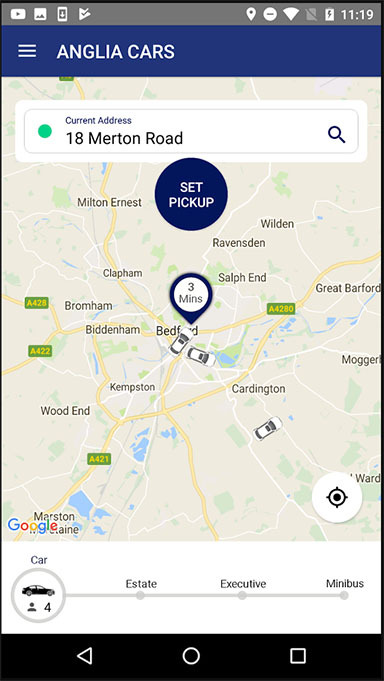 We have the best most advanced booking and dispatch system giving you no reason to have another taxi number in Bedford and Kempston. We have an extensive fleet of vehicles; ranging from executive cars for those more professional visits to large minibuses to bring the party in to town. Our prices are cheap for taxis in Bedford. We also have taxis in St Neots, Flitwick, Sharnbook, Harrold, Riseley, Wixhams, Wyboston. You can take our cabs wherever you want to go!What ever the occasion if you need a cab in Bedford; Anglia is the only taxi number you need! Have a look around our website for our exclusive features; you can even join us on Facebook, Twitter and Google+. Anglia Cars, Bedford taxis at their best! Most advanced booking software with confirmation of Booking and Car details upon arrival! Real-time car availability with Live taxi tracking. Be safe and secure! Lost my phone on Christmas Eve in the back of cab and tracked it next morning it was still in drivers car and car later on the evening the driver came back to work the staff made him return my phone thank you will recommend to everyone. Very good service , very friendly staff I have always been looked after in this place I highly recommend it. Have recently started using them when commuting by bus was not an option especially late at night. Prices are always reasonable and have had some really nice drivers. Not everyone likes to talk but having a pleasant conversation after a stressful day at work is always welcome. My driver today Foley (?) Being one of them drivers. Very helpful and pleasant! Brilliant service! Excellent timing. Would defo reccomend!! Good service, quick pickup (there within 10 mi s) with a nice driver who arrived on time allowing me to make my train well within time. GREAT SERVICE. I have used Anglia for many years for train station commutes, airport transfers and nights out - I have always been happy with them and would recommend above anyone else in Bedford. Their new android app is really useful too. The call centre was able to help me deliver my items I left in Bedford. Would recommend. Excellent service - took us from Bedford to Biggleswade for a Xmas party and back - early in the morning - for £40 round trip. Friendly professional drivers and cars in good condition. Having previously written a one star review, I have now re-rated Anglia Cars four stars. The company acted extremely quickly and courteously to our complaint, rectifying it as quickly as possible and apologising.Admittedly, I was disappointed at the time, but their efforts to make things right was extremely impressive; especially when you compare their size to larger companies that seem not to care about their customers. I have always used Anglia Car's they are reliable, clean car's and polite drivers and they don't over charge. Connect your account and settle the invoice at the end of the month. 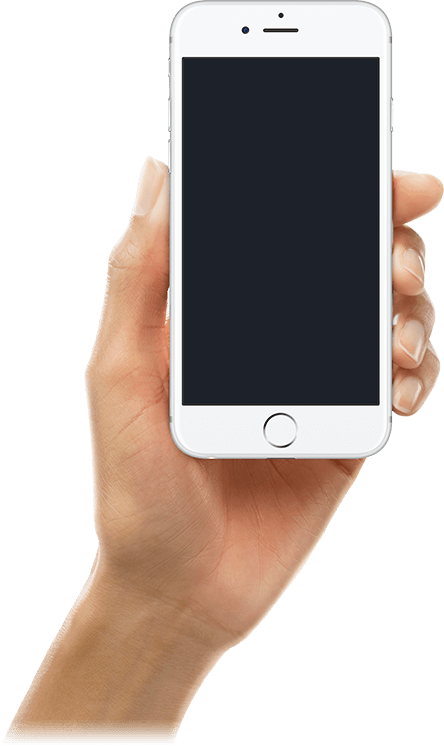 Share your app with friends and loved ones; with personal passwords.